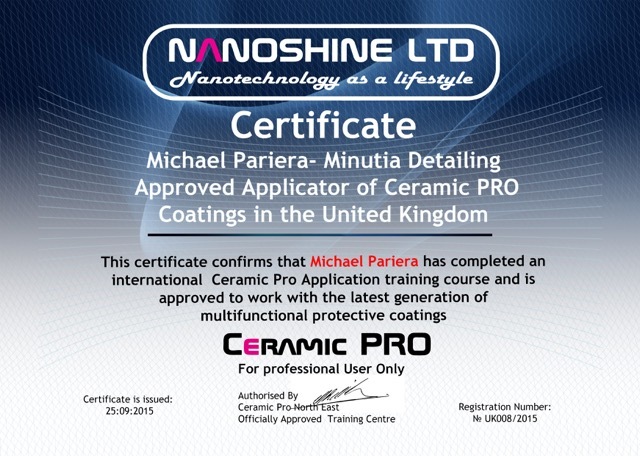 Ceramic Pro is made by NanoShine, one of the world’s leading manufacturers of industrial coatings for automotive, marine and air surfaces including paint, gloss, alloy, fabric, leather, plastic and rubber. Using a ceramic molecular compound formula, the range of Ceramic Pro products are the most technologically-advanced protective coatings on the market. 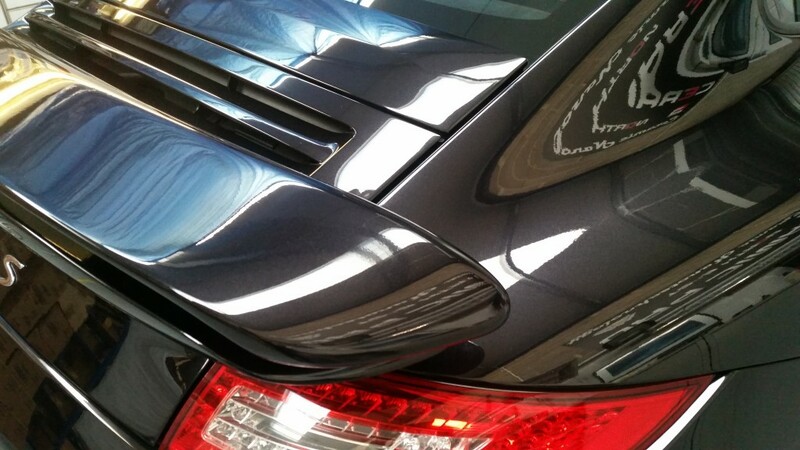 Ceramic Pro 9H is a Permanent Nano-Ceramic Paint Coating and its unique formula has enabled it to be multi-layered which means the thickness of the coating can be increased with additional layers allowing a thicker/harder film that will increase its scratch resistant properties. For more information about Ceramic Pro, please contact us today to book your car in.